Lieutenant Colonel Kettles was awarded a Medal of Honor for his daring flights. Lieutenant Colonel Kettles was awarded the Distinguished Service Cross, the Army’s highest citation for valor below the Medal of Honor, in 1968. But the story of his heroism and those of his fellow helicopter crewmen remained largely unknown beyond military circles for nearly half a century. That changed on July 18, 2016, when Obama presented Kettles, a retired lieutenant colonel, with the Medal of Honor at the White House. Lieutenant Colonel Kettles, who died Jan. 21 in Ypsilanti, Mich., at 89, had been the central figure in a harrowing episode. 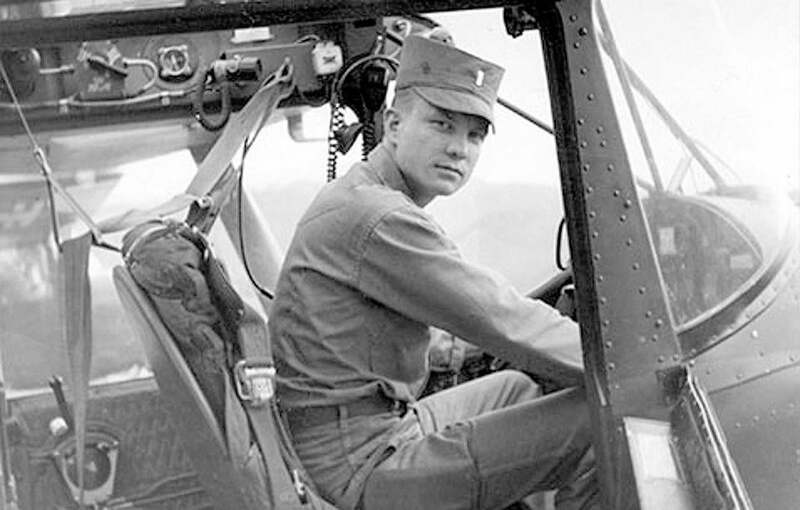 On May 15, 1967, Major Kettles was a flight commander with a helicopter assault company that had flown soldiers from the 101st Airborne Division into the Song Tau Cau River valley in South Vietnam. Soon afterward, the unit radioed to the helicopter company, stationed nearby, that it was suffering casualties as enemy troops fired from fortified bunkers and tunnels. Major Kettles volunteered to lead six helicopters to evacuate the wounded. His helicopter and those alongside him were raked by fire while extricating many of the wounded on the first two rescue trips that day. Major Kettles made it back to his base after a second foray with fuel leaking from his craft and his gunner severely wounded. When the airborne commander radioed that he still needed emergency evacuation of 40 remaining troops as well as four helicopter crewmen who had been stranded helping carry out the earlier rescues, Major Kettles led a third trip into the valley, flying a different helicopter. Soon he was heading back to his base a third time, believing that all the wounded had been evacuated, when he was told via radio that eight more soldiers had not been able to reach an evacuation helicopter. Major Kettles swung back for a fourth rescue trip while his unit’s other helicopters continued back to their base with their wounded. The gunships, fighter jets, and artillery that had supported the previous rescue efforts had departed by then, believing the action was over. Major Kettles’s helicopter was severely damaged by enemy fire and his windshields were shot out when he landed for a fourth time, but he extricated the eight remaining soldiers and made a safe return to his base. In 2006, Lieutenant Colonel Kettles told his story to William Vollano, a volunteer interviewer for the Library of Congress’ Veterans History Project. Vollano checked it out with fellow veterans from his mission, then passed the account along to members of Michigan’s congressional delegation. They sponsored legislation that made Lieutenant Colonel Kettles eligible for Medal of Honor consideration despite the long time lapse since his exploits. The Defense Department conducted a subsequent inquiry and recommended him for the medal. Charles Seymour Kettles was born on Jan. 9, 1930, in Ypsilanti, a son of Grant and Cora Kettles. He was studying engineering at Michigan State Normal College (now Eastern Michigan University) in Ypsilanti when he was drafted into the Army in 1951. He was commissioned as a lieutenant in 1953, then discharged in 1956 and opened an auto dealership. He returned to active duty in 1963, when helicopter pilots were needed for the war in Vietnam, and served the first of his two tours there from February to November 1967. He retired from military service in 1978 and received a bachelor’s degree in business management that year from Our Lady of the Lake University in San Antonio and a master’s degree in industrial technology from Eastern Michigan in 1979. He later developed an aviation program there. Lieutenant Colonel Kettles leaves his second wife, Catherine, known as Ann; six children, Chris, Margaret Gupta, Michael, Marianne, Carolyn, and Jeanna Banez, from his marriage to his first wife, Ann T. Kettles; three children, Catherine Nezwek, Patrick Heck, and Maria Heck, from his second wife’s previous marriage; a brother, Joseph, and nine grandchildren. Lieutenant Colonel Kettles did not seek accolades upon completing his four rescue missions. But, as he told it at his Medal of Honor ceremony, he was thankful for the opportunity to save so many lives.